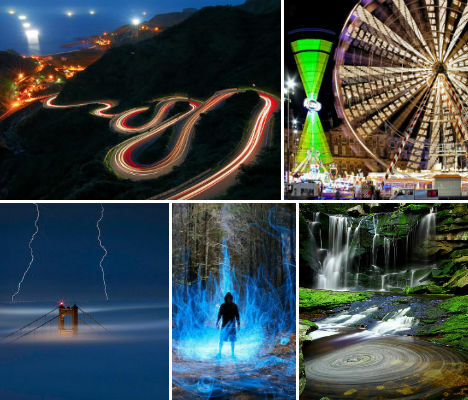 Streaks of light, trailing stars, smoothly swirling water, surreal color gradients and stretched wisps of cloud – all of these effects are possible using a long-duration shutter speed when taking a photograph. 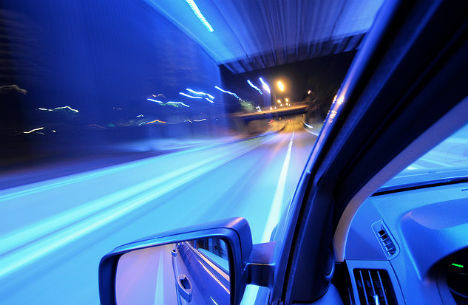 Long exposures are created by placing the camera on a tripod and leaving the camera’s shutter open for an extended period of time, which captures the stationary elements of the scene in sharp detail but blurs the elements that move. 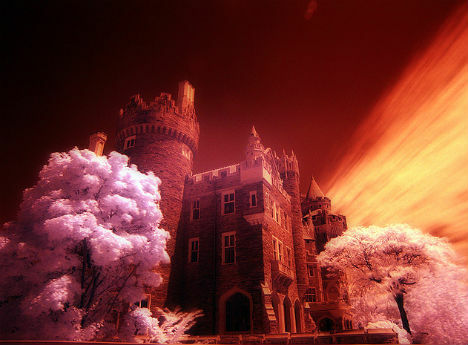 The combination of infrared photography and a long expsure turned Toronto’s Casa Loma into an eerie sight in this daytime shot by Paul Bica. 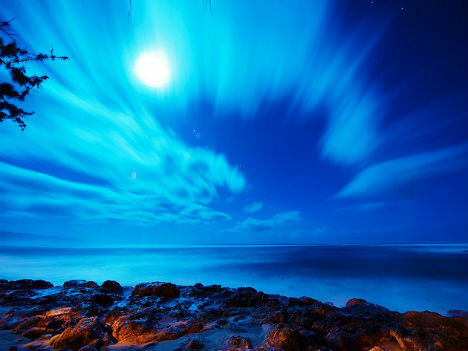 Incredibly surreal, this long exposure photograph by Dennis Calvert also features a technique known a ‘light painting‘, in which artificial light is moved around in the scene during the exposure. 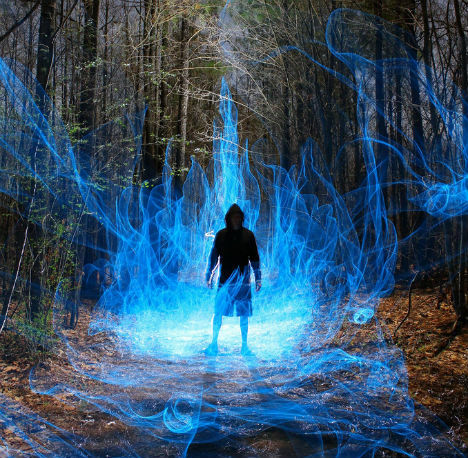 An electrical wire taped to a stick, plus a flashlight, achieved this effect – without the need for any digital trickery. 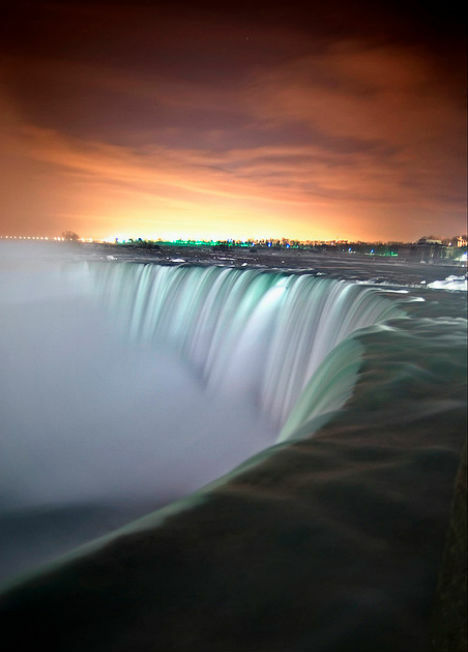 Water is a common subject for long-exposure photos because leaving the shutter open for a few seconds or even a few minutes highlights the water’s movement, giving it a misty quality. 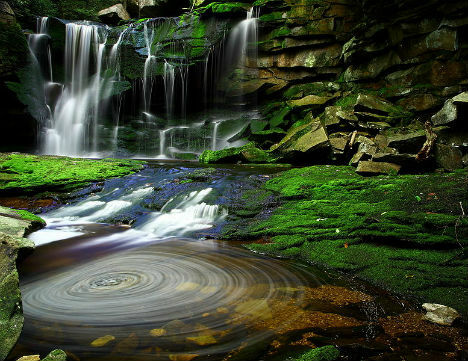 This 30-second shot blurred the waterfall in the background and captured an interesting spinning effect in the foreground as debris made lazy circles in a pool. 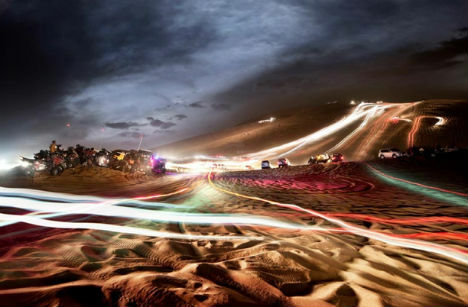 “This was shot just outside Dubai where people gather at the weekend and race up and down this massive dune named ‘Big Red’”, says photographer Alisdair Miller. 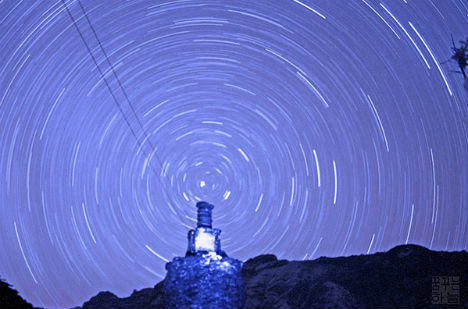 A long exposure can capture the movement of the stars in the sky, such as in this photograph of Kalinchowk in Nepal. 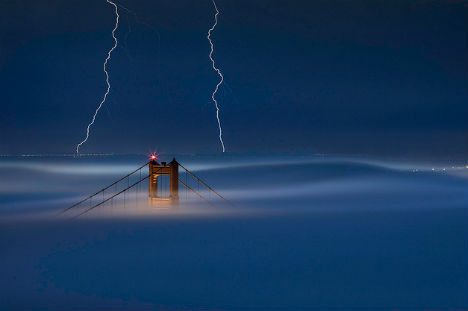 Photographer Dhilung Kirat used light painting to make it seem as if the tower in the foreground is the source of the light. 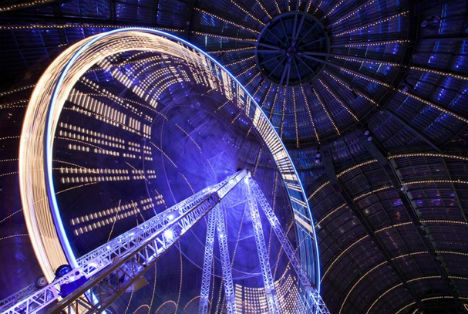 A ferris wheel at a carnival becomes an abstracted shape in this long exposure photograph by Guillame Vigoreaux. 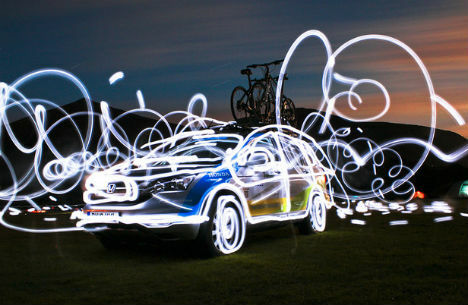 Another example of light painting achieves a memorable result with a long exposure and the movement of a flashlight around the scene. Paul Bica captures wispy-looking clouds as they move across the sky over the North Pacific at Kawailoa Beach in Hawaii. 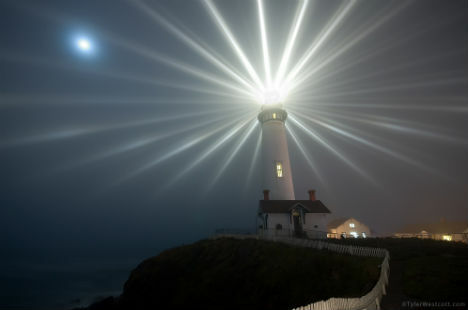 The annual lighting of the Pigeon Point Lighthouse near San Francisco, California was augmented by a particularly foggy night. 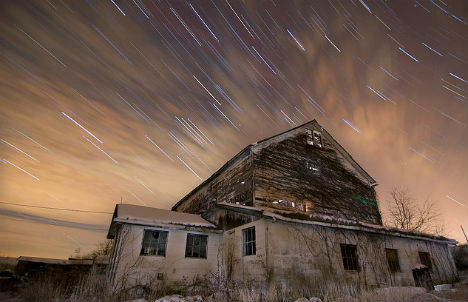 The individual beams of light cast from the lens stand out clearly in this two-minute exposure by Tyler Westcott. Though slightly digitally altered, this photograph gets most of its ambiance from a long exposure. 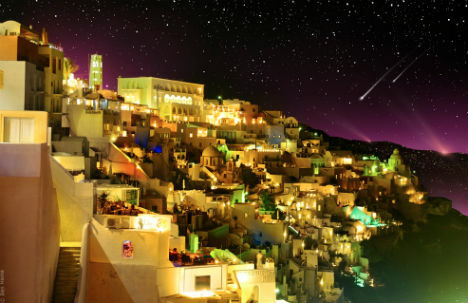 The city of Fira, which is the capital of the Greek Aegean island Santorini, clings to the volcanic cliffs as stars twinkle in the background. 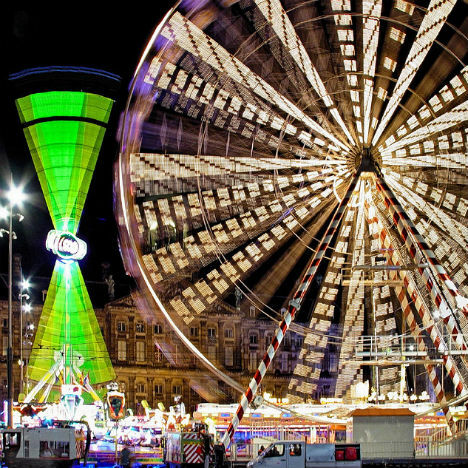 Clearly, carnivals – with their many moving, illuminated attractions – are an ideal subject for long-exposure photography. This one turns a ferris wheel in Amsterdam into an abstract starburst. 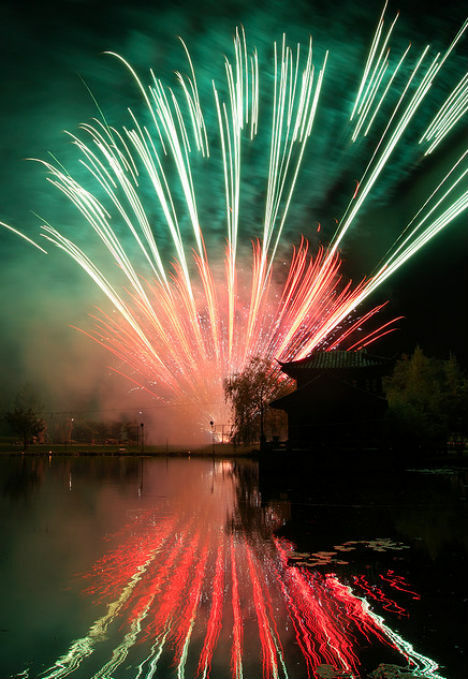 Colorful fireworks soaring into the sky become long trails of light in this award-winning photo by Flickr user Julie_Berlin. 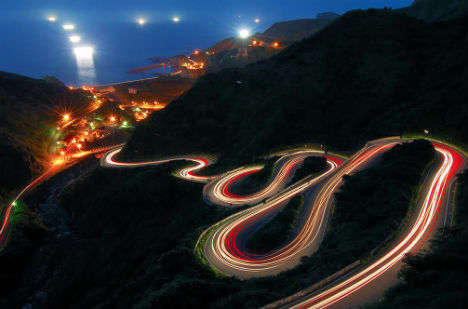 Headlights and taillights are drawn out on a serpentine road, captured in Taiwan by Te-Wei Liu. An ordinary road suddenly seems like a futuristic Tron-like landscape when photographed in a long exposure from a moving vehicle. 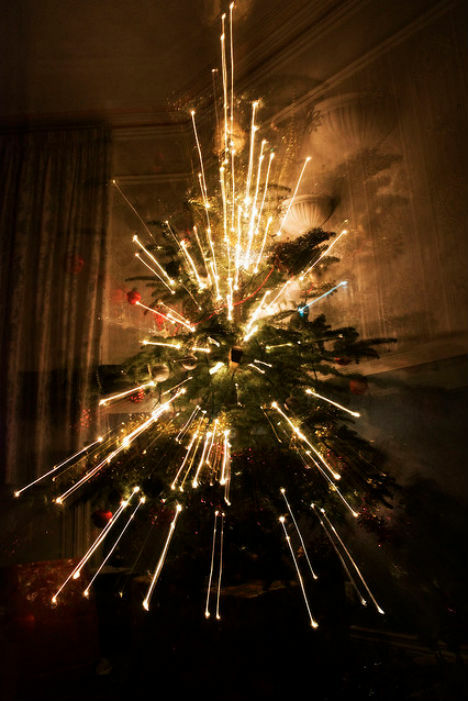 It takes a moment to realize that this strange image is actually that of lights on a Christmas tree.